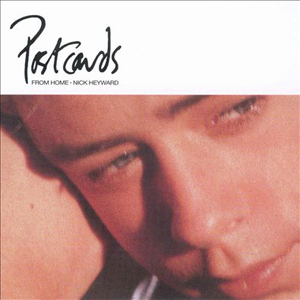 Postcards from Home is Nick Heyward’s second solo album. It was released in 1986 through Arista Records and produced two UK hit singles, “Over the Weekend” (#43) and “Goodbye Yesterday” (#82). The album was produced by Heyward’s manager, Graham Sacher, and recorded at four studios: Oasis, Marcus, Mayfair and PRT.